The Young Vic Company formed in 1946 under director George Devine, originally performing classic plays for young audiences (9-15) before being discontinued in 1948. 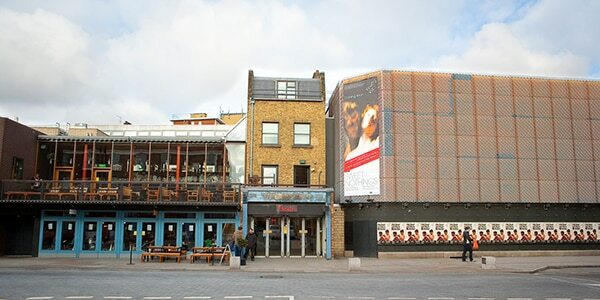 In 1969, The Young Vic theatre was founded by director Frank Dunlop, opening on 11th September 1970 with a production of The Cheats of Scapin, and under the banner of the National Theatre. The theatre became independent from the National in 1974. The theatre closed in 2004 for major reconstruction, following a successful fundraising campaign the previous year (which raised £12.5 million). It re-opened in October 2006. The Young Vic focuses on presenting innovative productions of classic plays (a recent example being the hugely successful production of A Doll’s House). It also hosts workshops working with young people (8-25), local schools, and the local community. The theatre has three performances spaces; the 420-seat main house, the 150-seat Maria Theatre (named after designer Maria Bjornson), and the 70-seat Clare Theatre (named after director Clare Venables).